Still trying to figure out what to add to your registry? Well, lucky for you I've been working on a series in partnership with our friends over at Macy's! You see, I've been working hard to come up with a helpful list including all of my personal recommendations and registry must-haves! And I can't wait to share! And as a reminder, these recommendations will be items that were on our actual registry or they're things I wish we would have included. 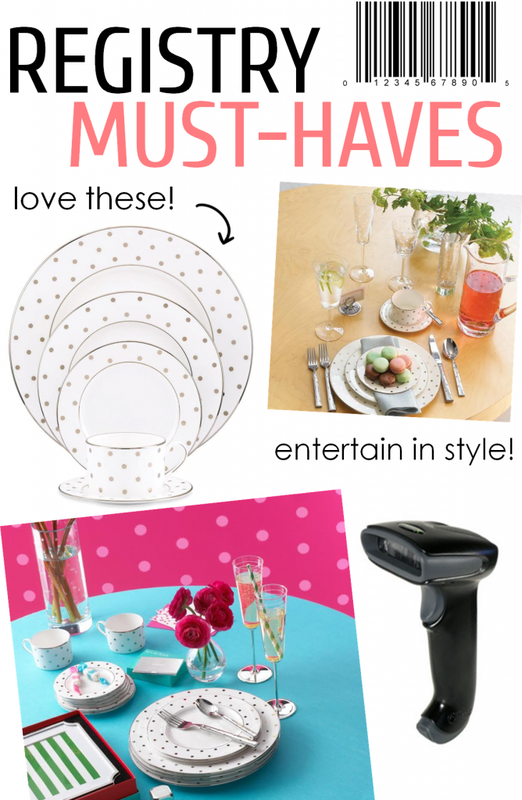 So without further ado, here's the fourth of my registry must-haves! The kate spade new york Larabee Road Collection. Need I say more? This set was recently gifted to me for a recent styled shoot and wow! I seriously can't recommend it enough. The sweet polka dot pattern truly did have me at hello! Because what's not to love? The Larabee Road dinnerware collection from kate spade new york combines easy elegance and irresistible whimsy. I can't decide what I love most? Those pretty plates? These gorgeous champagne flutes? It's truly a versatile set and a pattern that will never go out of style. And lucky for you, you can easily add this set to your Macy's Registry! Don't have a registry with Macy's yet? No worries. Registering is easy! Simply follow this link and you're good to go! 3 Comments " Macy's | Registry Must-Haves! " Payday advances are little total, here and now credits that go about as advances on your next paycheck. On effective finish of your advance the cash is regularly paid into your financial balance around the same time that you apply, frequently without the need of any faxes or post.